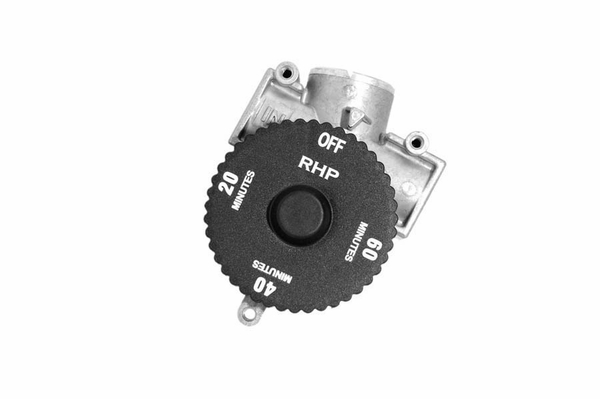 This gas shut off valve adds an additional safety feature to your gas appliance, allowing you to automatically shut off the gas flow after a designated period of time-up to one hour later. It is made of sturdy construction and installs easily. It has a maximum flow capacity of 100,000 BTU and can be installed in both natural gas and propane systems. It uses a 1/2" inlet and outlet. A similar three hour valve is also available. WARNING: Cancer and Reproductive Harm. For more information go to www.P65Warnings.ca.gov. I'm looking for a timer valve for a residential gas cook top. The cook top uses town supplied natural gas and is installed in a kitchen counter top. Could your product be used for this application? This product can indeed be used for that purpose. We also offer a lower cost, 3 hour timer that could be used for this purpose. The item is the Hearth Products Controls Gas Saver Valve.